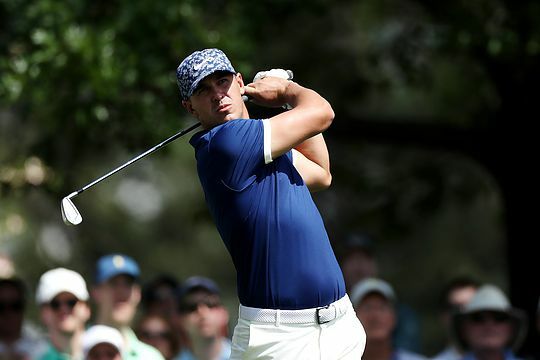 Brooks Koepka and Bryson DeChambeau share the first round lead on a tightly packed leaderboard at the Masters following rounds of 6-under 66. The pair tore up the final nine holes with DeChambeau firing six birdies from the 12th hole inwards with three-time major winner, Koepka, carding five of his own from the 10th. DeChambeau was unlucky not to claim an eagle at the final hole with his second shot hitting the flagstick and coming to rest just inches from the hole for an easy birdie. Phil Mickelson, who last won at Augusta National in 2010, closed with five birdies from his final seven holes to finish at five-under and just one shot off the pace in outright 3rd. Masters hopefuls Ian Poulter and former world No.1 Dustin Johnson sit at four under and one stroke ahead of a group of five players in a tie for 6th place including 2013 champion Adam Scott. Scott came back from a 1-over round following a bogey at the 7th hole with birdies at the next two holes and another three across the final four holes to post his best opening round here since 2014. “I’ve talked a lot about kind of being at peace with the golf course,” said Scott. Tiger Woods heads a group of ten players in a share of 11th place at 2-under. Woods had a chance to make his mark late in the round but a bogey at the 17th and a sloppy 18th hole saw him settle for a round of 70. Interestingly, Woods has shot 70 in five opening rounds at the Masters and has gone on to win three green jackets plus a tie for 4th and 6th place. A fact he was well aware of when interviewed after his round. “I’ve shot this number and won four coats, so hopefully I can do it again,” smiled Tiger. Woods won his last green jacket in 2005 and opened with 74 on that occasion but managed to scramble out of the pack with a 66 and 65 in the next two rounds before closing with 71 to get into a playoff with Chris DiMarco. Aussies Jason Day and Cameron Smith sit alongside Woods with Day again suffering from back pain during his round. Marc Leishman closed on even par following a rollercoaster journey around Augusta National, which included a double bogey at the 10th, three bogeys and five birdies.